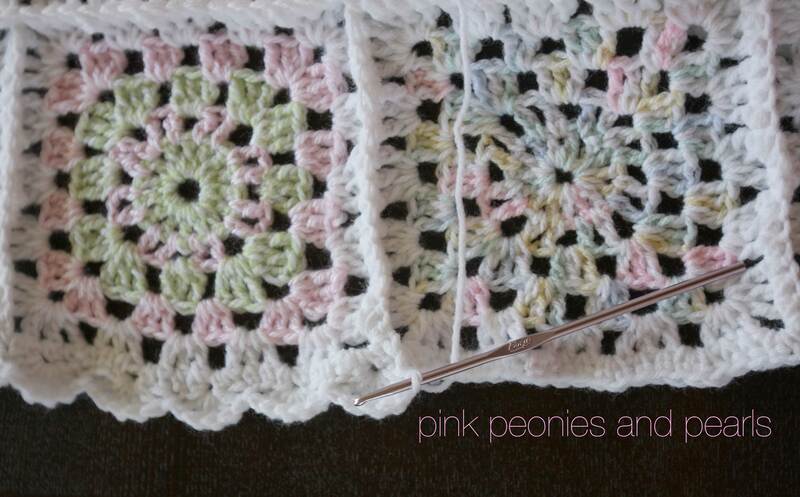 This morning I joined all the granny squares using a single crochet stitch. I also made a border using a single crochet stitch. As a finishing touch, I am working on a scalloped edge. Once the blanket is complete, I am going to package this beauty into a BIG sister kit for my niece. In learning to sew, I am practicing by making burp cloths and bibs. I might make some doll sized diapers, burp cloths and bibs for her to play with…and she can be just like Mommy. My niece is still a toddler. Her kit will not be crayons and coloring books. I am still thinking of creative ideas on what to put into her gift. This auntie wants her niece to feel just a special on the day her little brother is born. 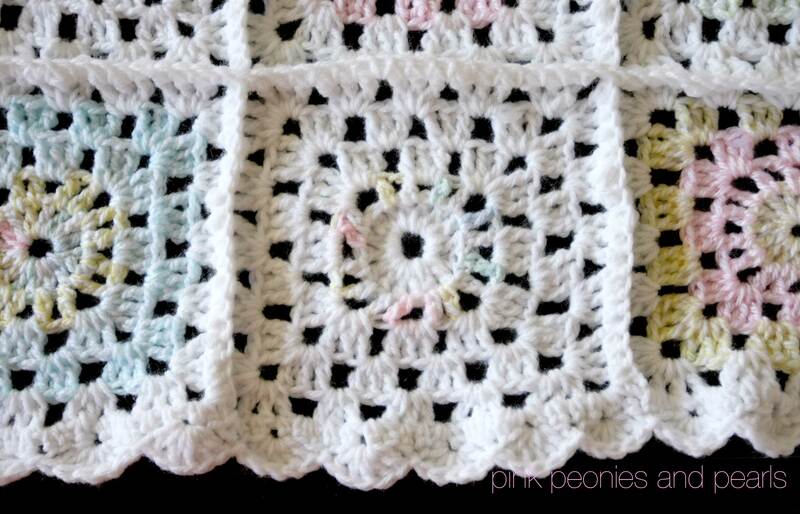 It is a simple pattern…but I’m so proud of how it turned out! Will post pics of entire blanket once it is finished.